"Journalism: The daily opiate of the restless." by or about AHC Group officers, senior associates, and clients. and the product of a futurist's work is foresight." Over the years, Jim Blasingame — founder of The Small Business Advocate — has conducted a series of "brain trust" interviews with Dr. Bruce Piasecki, discussing Piasecki's books and their relation to the author's business consulting firm, AHC Group. 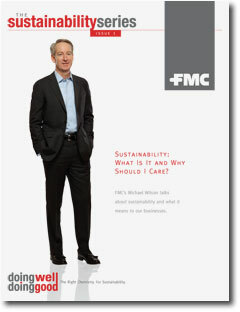 Sustainability: What Is It and Why Should I Care? Friday, June 3, 2011 • 6:00 to 9:00 P.M. Enjoy a gathering of 200 interesting people committed to improving the near future. Please join Bruce Piasecki and all of us at Verdentity Marketing and Branding as we celebrate our first year supporting sustainable organizations! Enjoy live music, local food, beer and wine, and a gallery of our work. 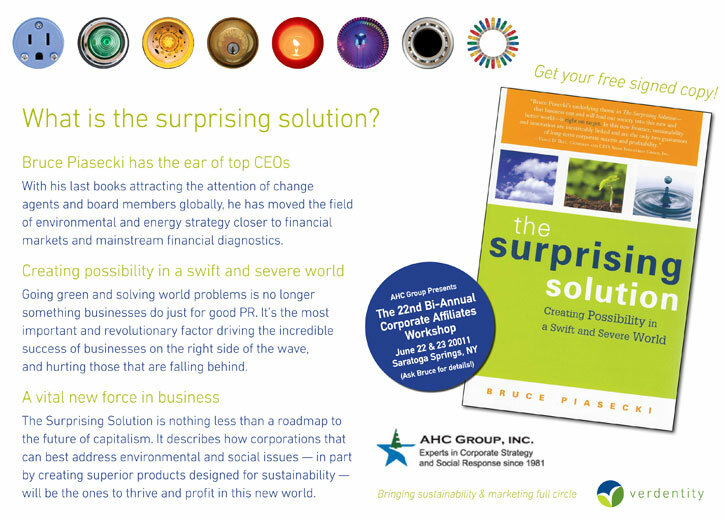 Get a copy of Bruce Piasecki's book, The Surprising Solution: Creating Possibility in a Swift and Severe World. The local author will be present for a signing and a chat to help enjoy the launch of this new organization. In Discussion provides a profound delivery of information from around the globe. Broadcast through frank, positive, and life-changing exchange, these talks are designed with the sole purpose of leading to a rebirth of our world community. Below is a list of recent broadcasts with author Bruce Piasecki. "Corporate Philosophy's and Swift Adaptation to Changing Social & Environmental Conditions"
"An Idler in the City"
"The Art of Competitive Frugality: On Panic & Resolve — Thoughts from Author Bruce Piasecki (Part 2)"
"Succeeding in our Carbon- and Capital- Constrained World"
"The Life & Career of Dr. Bruce Piasecki"